Welcome to Stone Oak with this 2-story home set among mature trees where you will enjoy a park-like setting backyard. Inviting entry with warm-tone wood flooring sets the stage for this open floor plan. 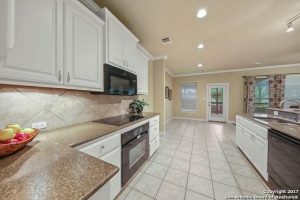 The kitchen is bright with a contemporary touch, solid countertops and breakfast bar. 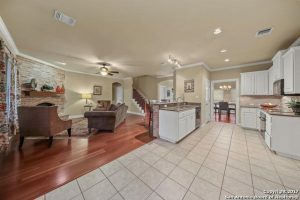 Designer touches flow throughout with crown molding, tre’ ceilings, private study, built-in cabinets at the game room, extended covered deck and more. Community amenities with pool. 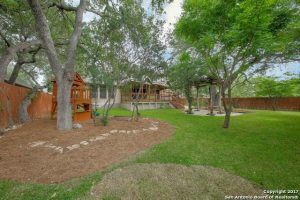 Scenic Knoll, is one of the most desirable areas in the entire San Antonio Texas region. With excellent schools and a close proximity to the city. it’s an oasis just inside of the city. Thank you for reading about 1310 Scenic Knoll San Antonio TX 78258.